Prior to site launch or redesign, marketing and IT departments try to determine what prospects are looking for. Should the website be graphics-heavy and light on text? Do visitors want multimedia enhancements? The answers to these questions lie in the results of a study conducted by a leading market research company, Jupiter Media Matrix. This study found that 20% of visitors would visit a site more often if they had multimedia enhancements, 40% if pages would load faster, and 59% if sites had more product or service information. Based on these statistics, it is clear that website visitors are not getting the information they need from the sites they visit. Does your site provide vague product specifications in an attempt to "get people to contact you for more information?" Then you may be losing a large percentage of potential business. By only providing the basics, you are forcing users to take another step before they can buy from you. When it comes to conversion rates, why tempt fate and make things more difficult for your customers? With DDA’s custom website design and content development services, your customers are offered information about advantages, provided with answers, and much more so they contact you for your products or services not just more information. People rarely read web pages word by word; instead they scan the page for relevant words and sentences. There are many reasons why people scan rather than read. For instance, reading from computer screens has proven tiring for the eyes and is typically 25% slower than reading from paper. Because the web has been described as a user-driven medium, users often feel that they have to constantly move on and click on things to be productive. Since most pages are in fact not worth the users’ time, experience encourages them to move between many pages to extract what’s most helpful. 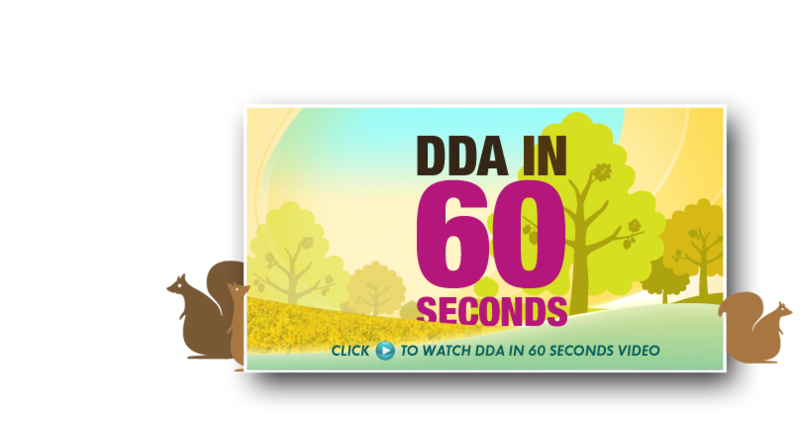 At DDA, we know that life can be hectic and time can be limited and, as a result, have developed strategies to attract and maintain customer interest. Search engines such as Google, Yahoo, and MSN look for two things: overall structure and content. With DDA’s websites, you may see phrases or a lot of words, but search engine spiders see a highly optimized website capable of earning top rankings. Although search engine positioning is important, it should never replace your conversion goals. DDA’s savvy website content development blends optimization with conversion. Benefit- and keyword-rich headlines and subheadlines serve two purposes: visitors quickly scan the body of the text for information and search engines consider emphasized text more important. they want, contact DDA today. Effective graphic design is a combination of balanced layout, high quality graphics, cogent marketing copy, and consistent composition. 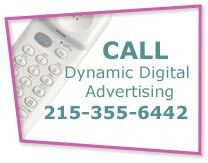 Dynamic Digital Advertising is a cutting-edge graphic design firm based in the greater Philadelphia area and services clients found locally, nationally, and internationally. Our graphic design studio is staffed by some of the best graphic designers, illustration artists, and copywriters that the industry has to offer. Degreed, skilled, and experienced, they work as a team to create exceptional graphic designs for both print and electronic media.